GMA's new teleserye Kara Mia is going to hit the online world as people are now mocking and making fun of the new series. Barbie (Kara) who has the other face at the back of her head Mika (Mia) were netizens compared the character to Voldemort in Harry Potter. At first, netizens found the series to be more creepy however, how they reacted will described a more funny series. Netizens even shared funny memes after seeing the teaser of Kara Mia lead by actress Barbie Forteza (KARA) and Mika dela Cruz(MIA) who shared one body with two faces. 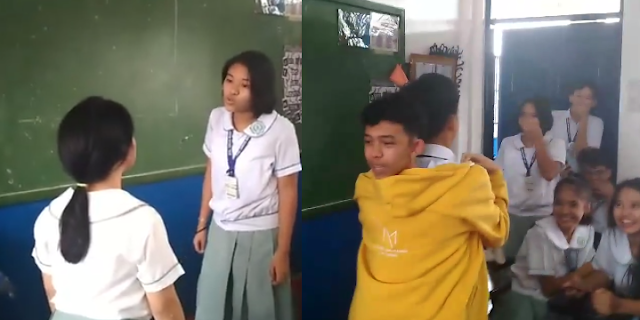 Recently, a group of students parody to the series had gone viral. As of the posting the video shared by Rey Baylon attracted more than 6M views, 294K shares and 273K emotions.